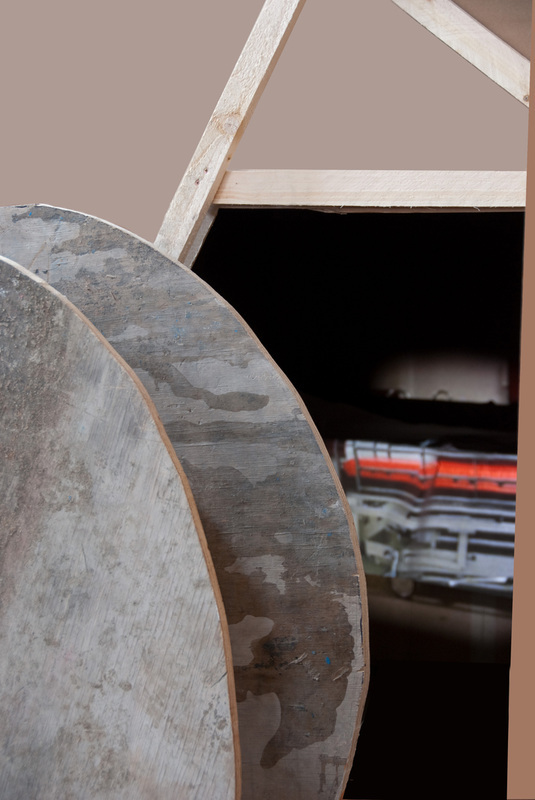 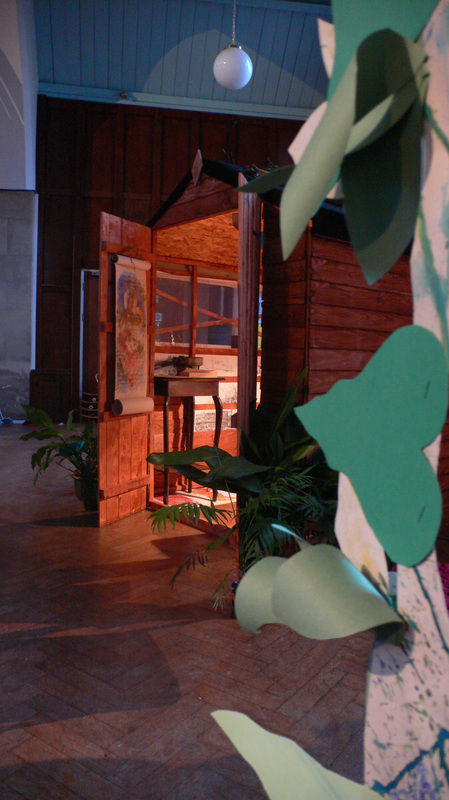 A large multi-media installation based on the Garden Tomb of Joseph of Arimathea just outside the Old City of Jerusalem, that many now believe to be the place where Jesus’ body was laid. We wanted to recreate the site. 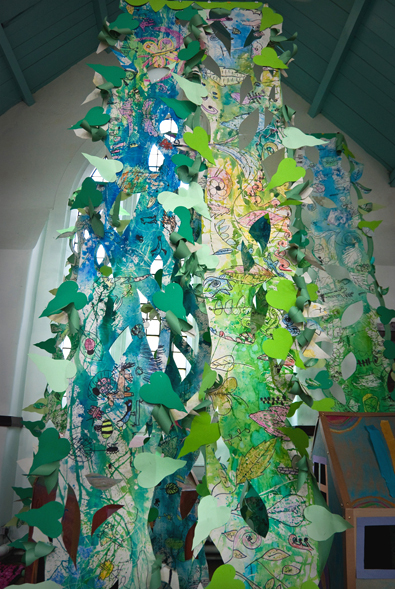 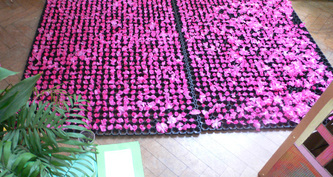 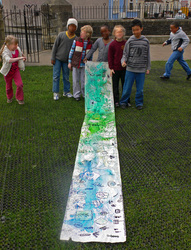 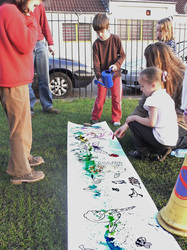 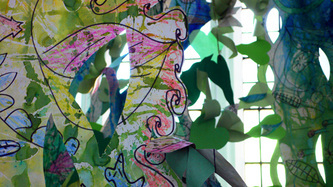 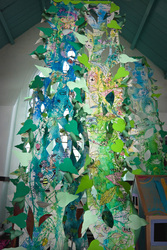 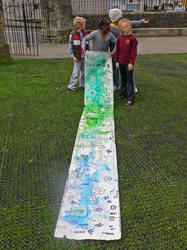 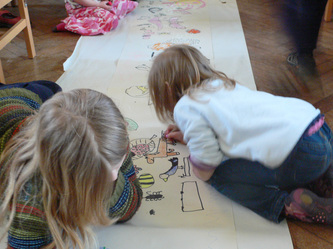 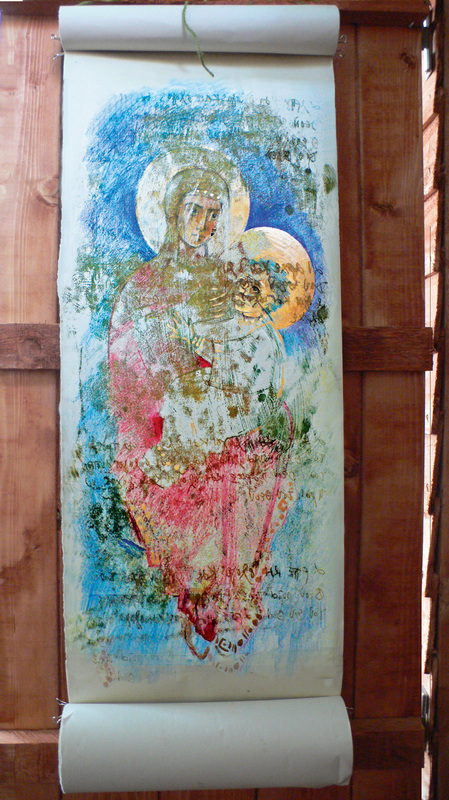 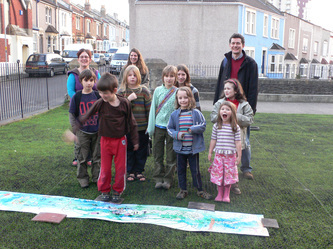 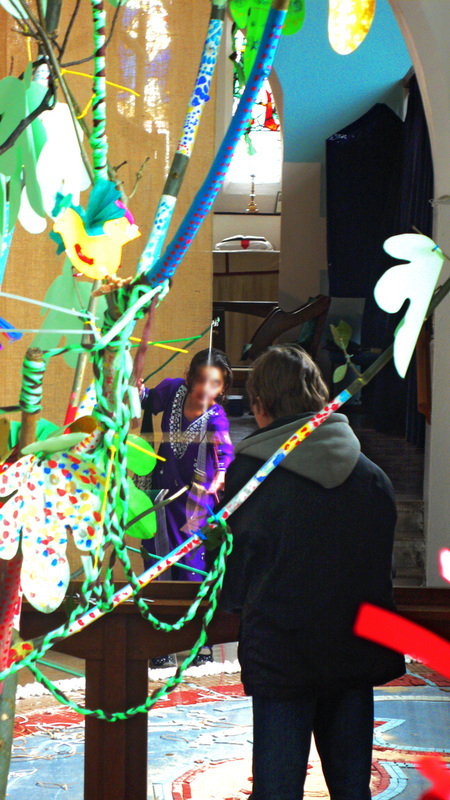 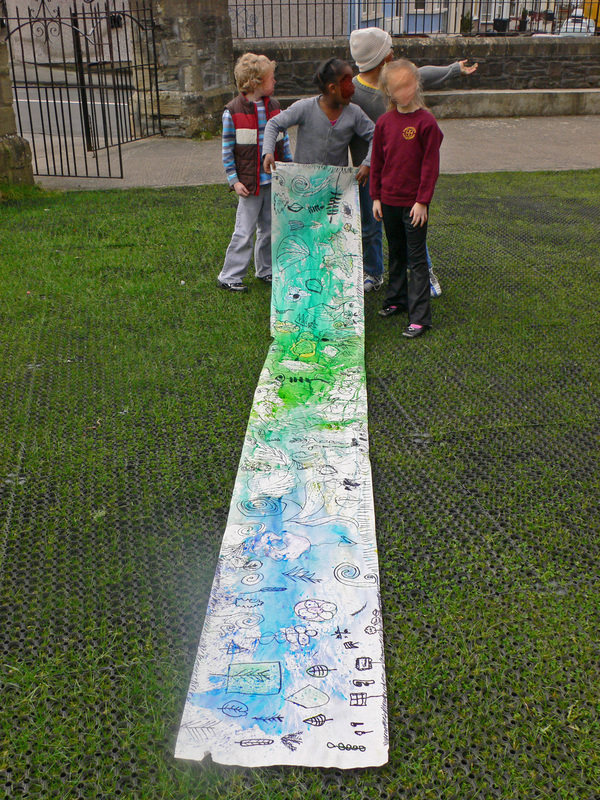 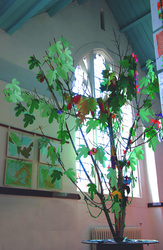 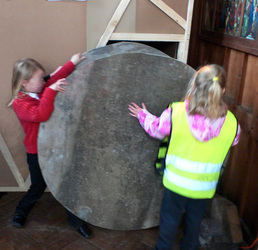 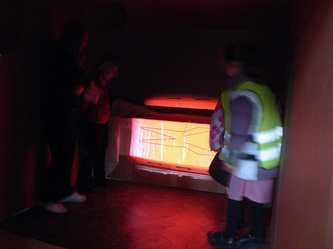 The work involved local schools, church congregation, Playscheme and other church user groups, as well as local artists. 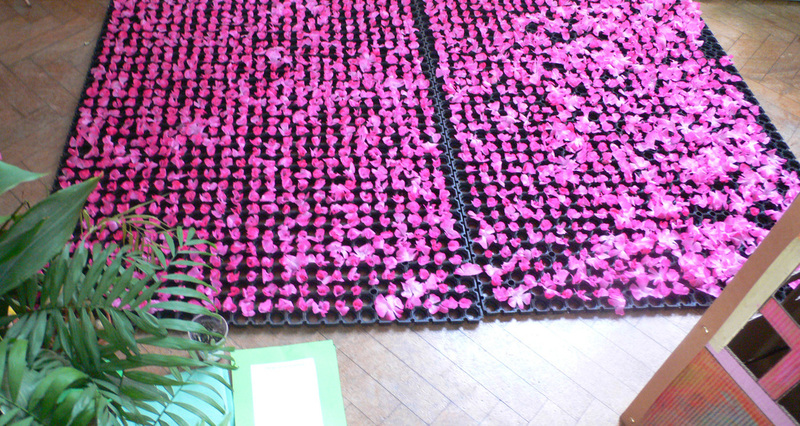 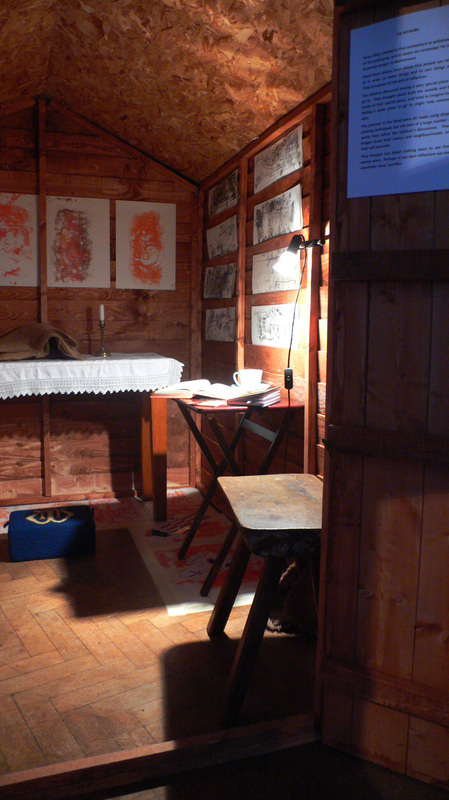 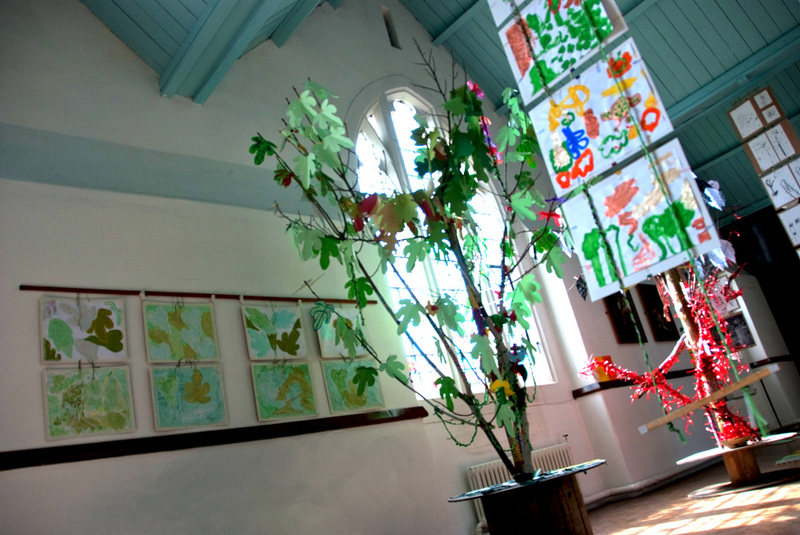 Linking parks and gardens over time and space - our own (kitchen flowerpot or country estate) with Eden and Gethsemane – we created garden areas as a way of exploring Jesus' teaching, the events of Holy Week and Easter Day, and the church as a site of worship and community. 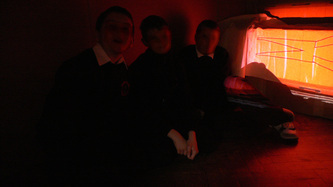 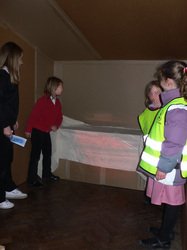 Schoolchildren became Tour Guides in an immersive all-age experience. 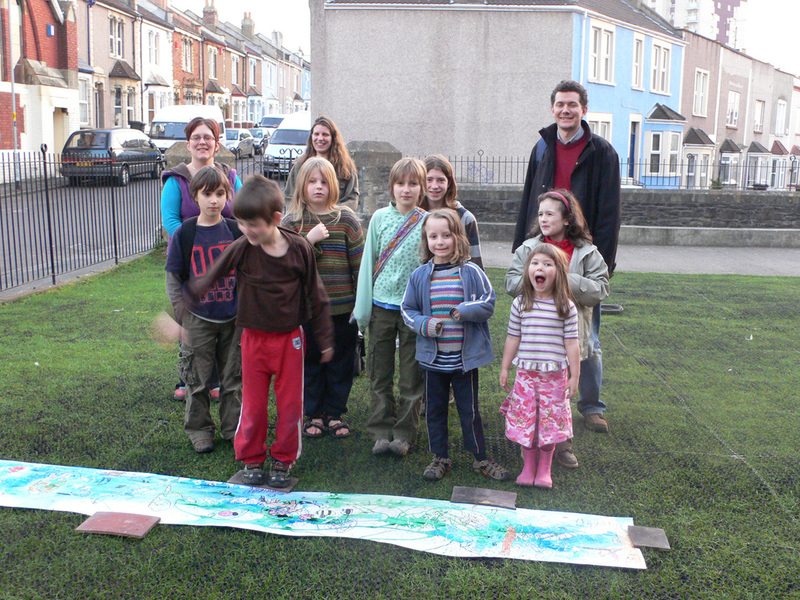 With BBC Radio Bristol coverage and thousands of visits over Easter, the size and scale opened up new vistas in a year of some notable anniversaries – as we were later to discover. 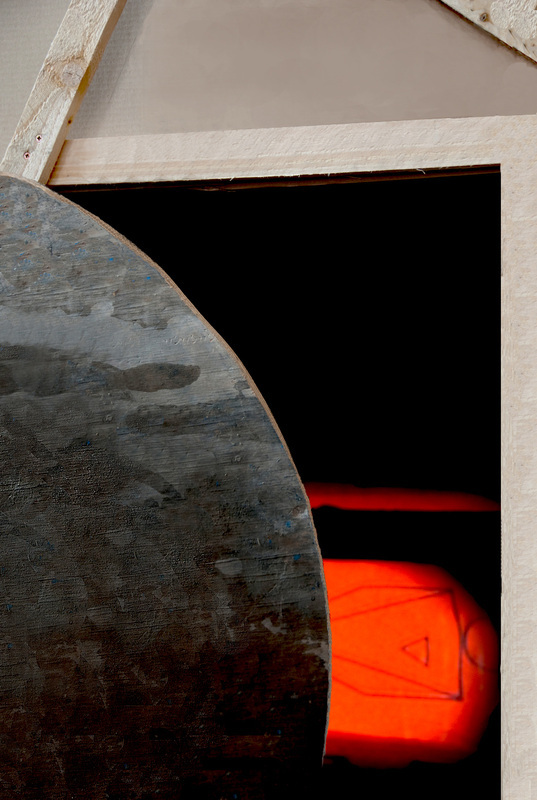 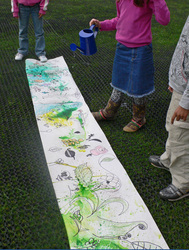 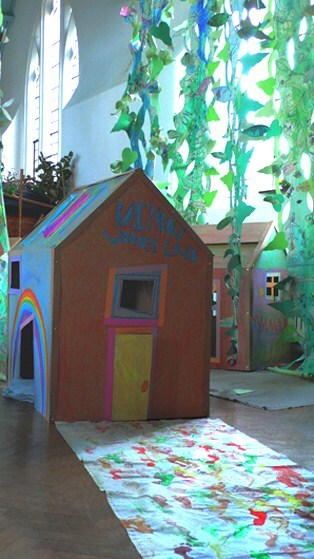 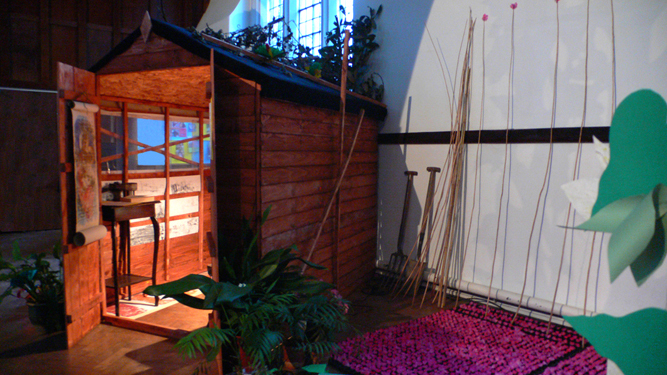 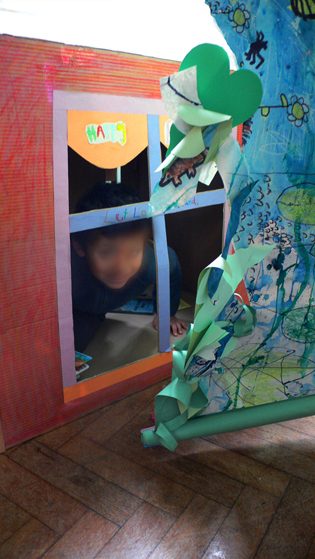 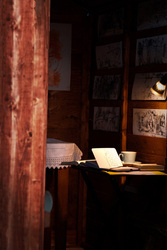 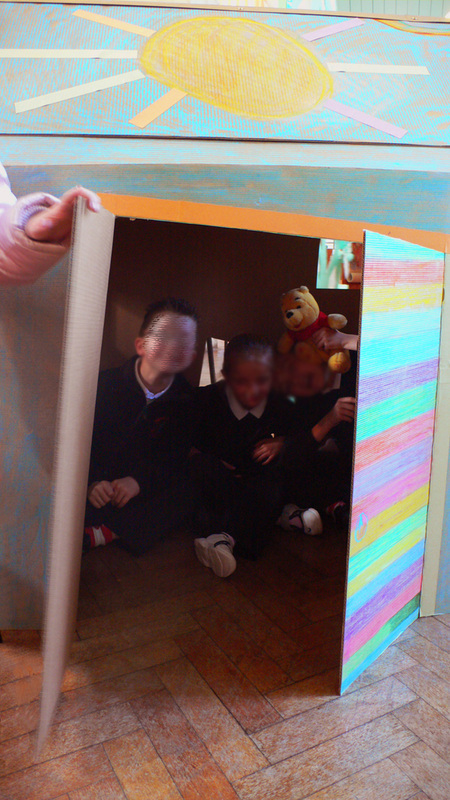 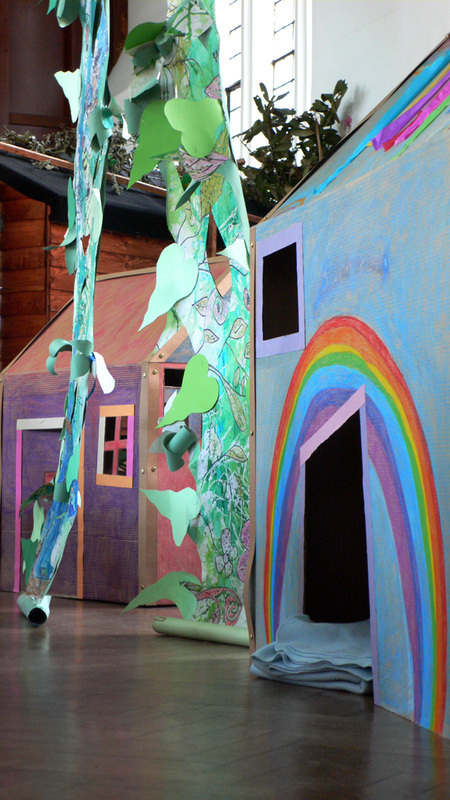 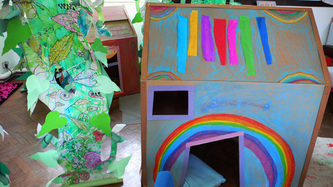 Garden play: temporary homes exploring connections with Jesus' earthly life. 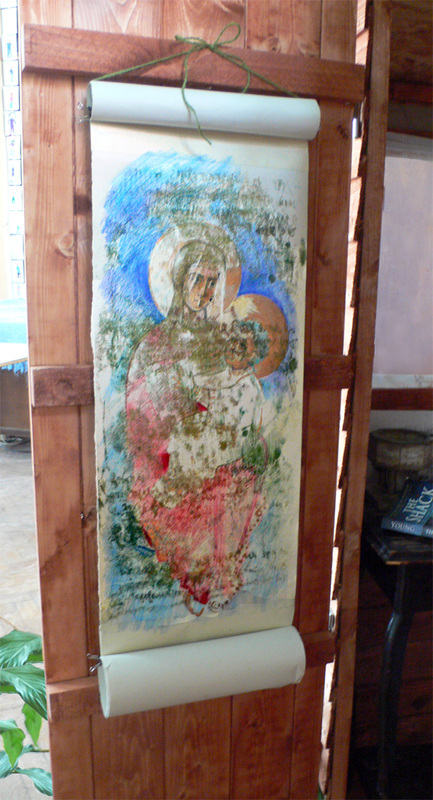 Garden tomb: family tombs were once common. 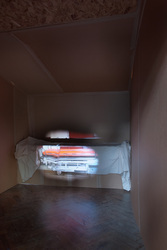 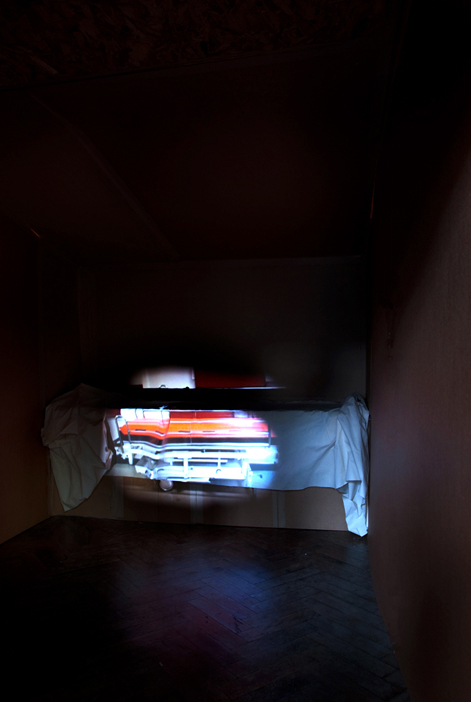 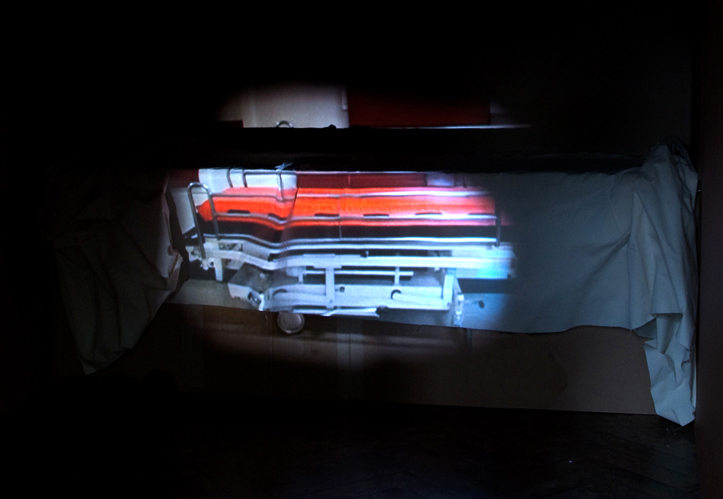 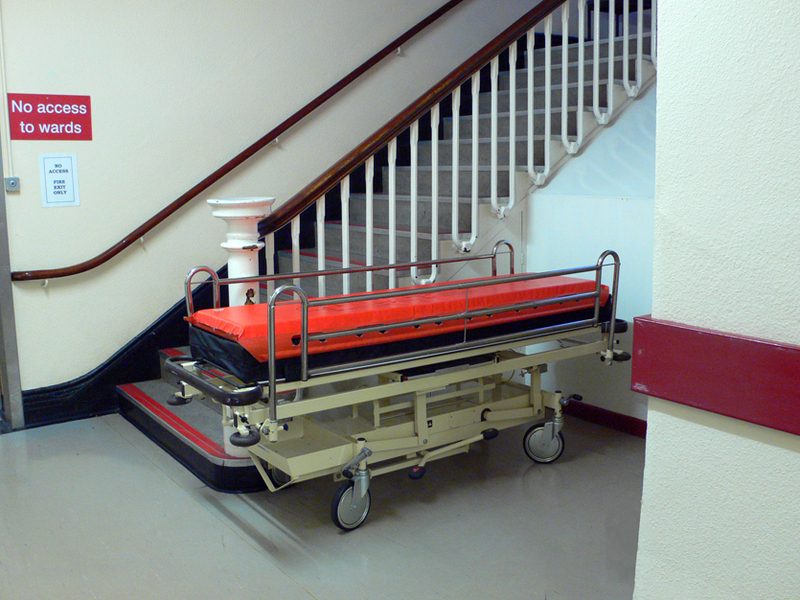 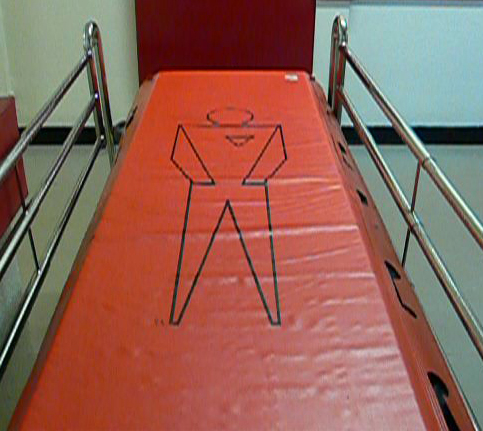 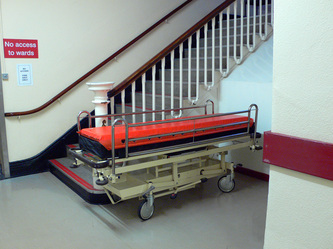 The tomb area has a contemporary twist – today hospitals are often the last resting place; video complements the low-tech/tactile work taken elsewhere. 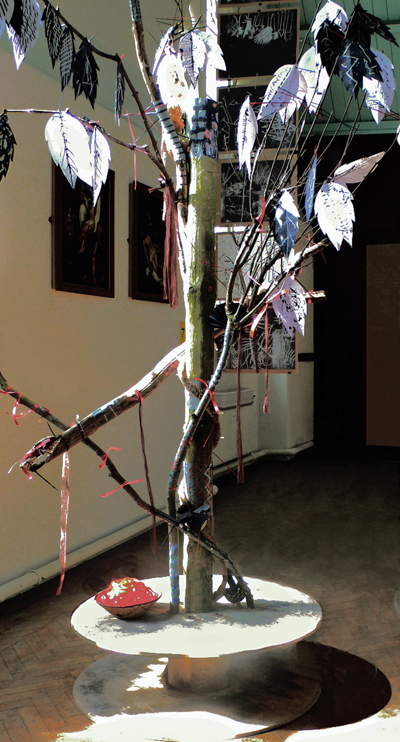 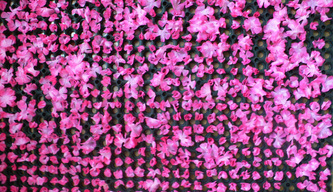 Trees in the Garden: trees in Gethsemane, trees in the garden on the day of resurrection. 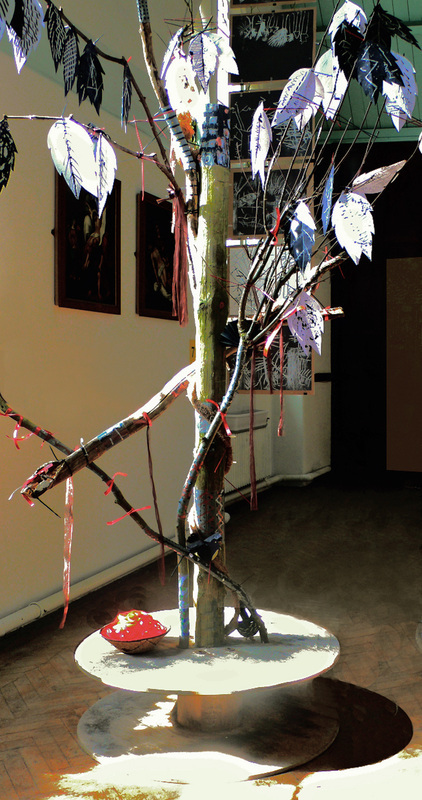 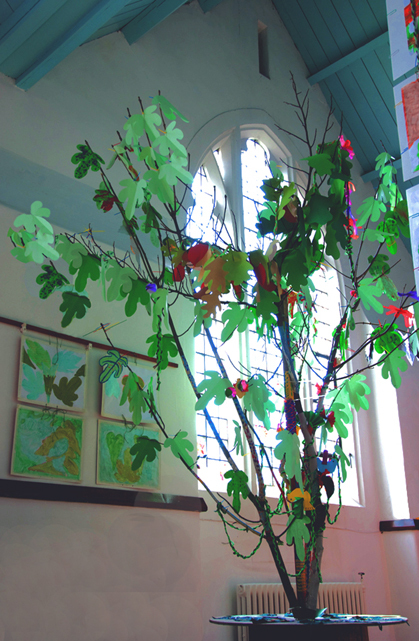 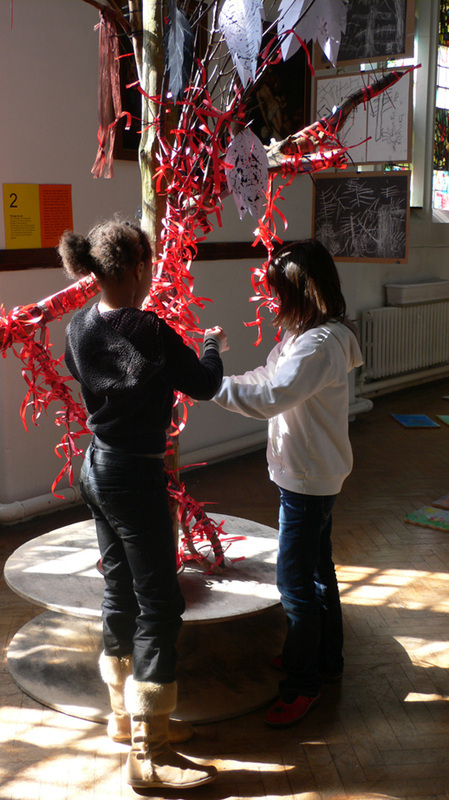 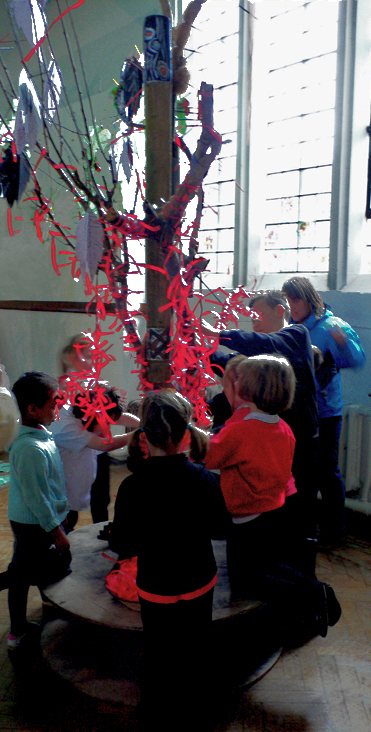 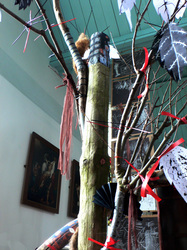 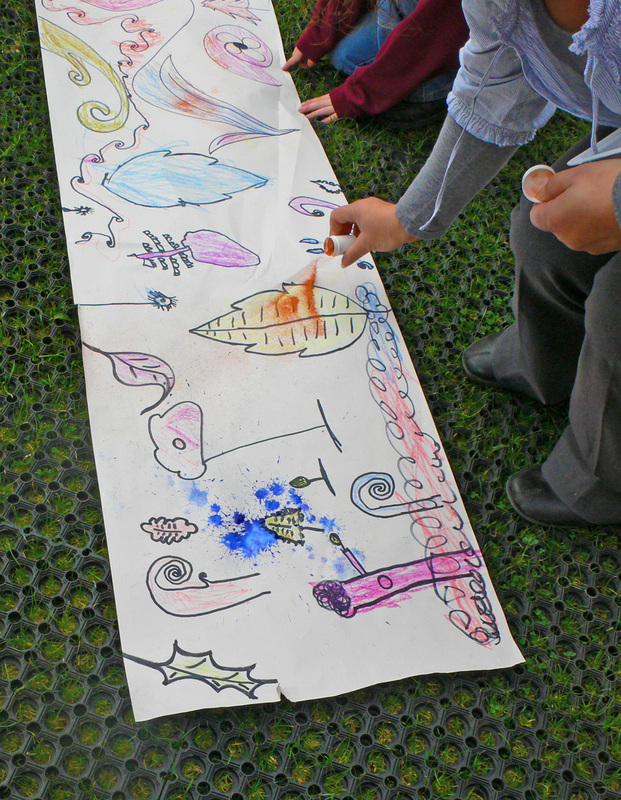 Children have used the imagery of trees to help them think about the Easter story. 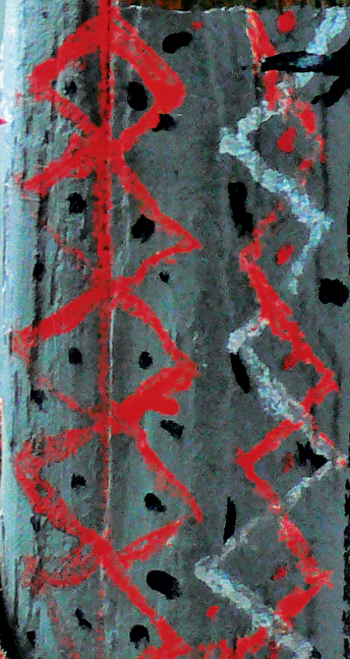 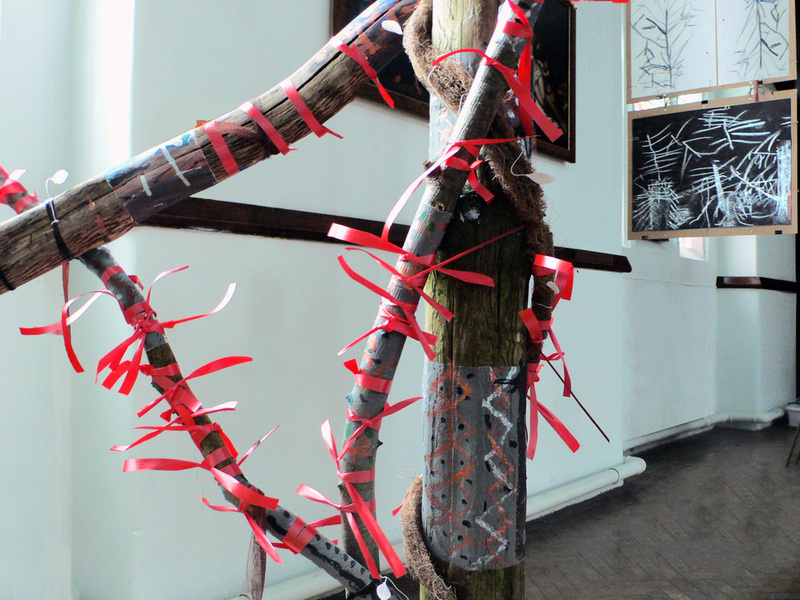 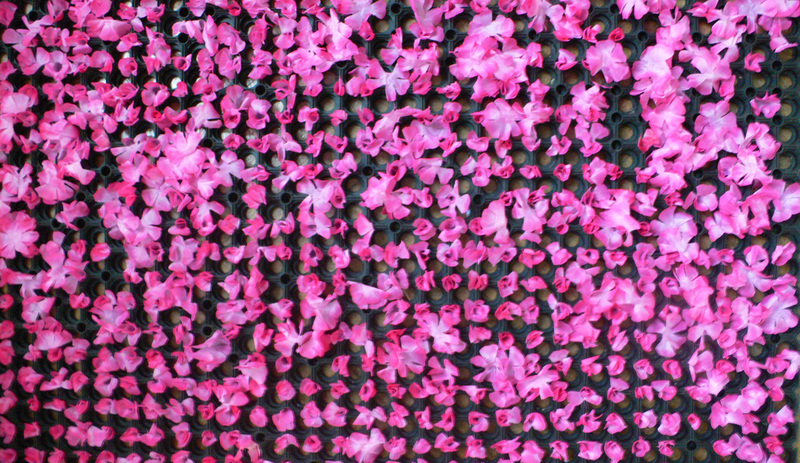 Their drawings and tree 'decorations' reflect this.